Patterson appears to be by far the best selling author in America and he and a small team of writers under the Patterson franchise put out nearly a book a month. One in every 17 books bought in America is by the great man. He is also the most downloaded of all writers. He outsells Stephen King in the way that the Beatles used to outsell the Moody Blues. King, by the way, called him a "terrible writer" of "dopey thrillers." Patterson is laughing all the way to the proverbial bank and is said by some to tell a better yarn. Certainly when it comes to collectability KIng is way ahead of him. A complete collection of King in first and limited edition could cost you more than a couple of new Cadillacs but you can buy a fine first edition of Patterson's rarest book (his first book The Thomas Berryman Number) for under $500, although the usual crowd of overchargers want $1000 or so for it. Most of his other work is readily accessible for paltry sums, although you will see fine first editions of his Jericho Commandment at over $100. Also signed copies are good-- when a writer makes a ton of money he tends to be less accessible. 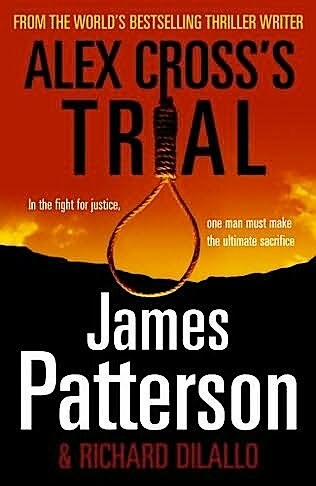 A word to the wise--if visiting a friend or relation who has fallen foul of the law do not take them some sort of improving literature-- try a tote bag full of Patterson (or Martina Cole) - behind bars they are better than money. So modern prisoners don't request Pater and Flaubert as Oscar did? Shame. (See Thomas Wright's Oscar's Books).